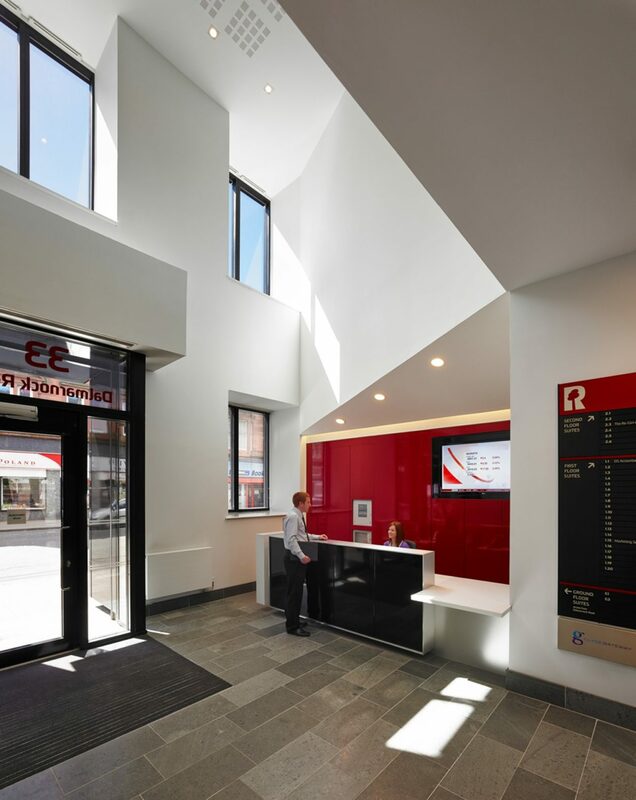 Red Tree Business Centre Bridgeton is situated at Bridgeton Cross and creates an innovative and vibrant office building for SME companies at the heart of Bridgeton Town Centre at an important gateway into the city of Glasgow. 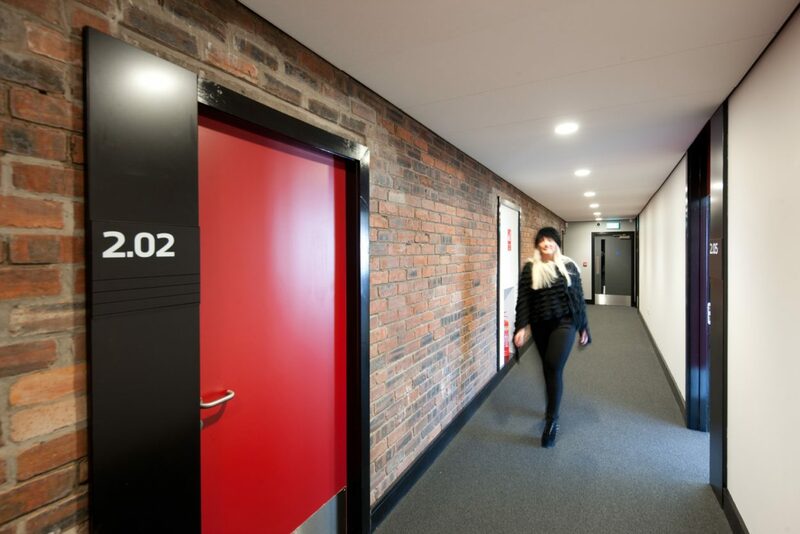 The once largely derelict property now provides 1,650 m2 office and retail space for up to 28 SMEs. 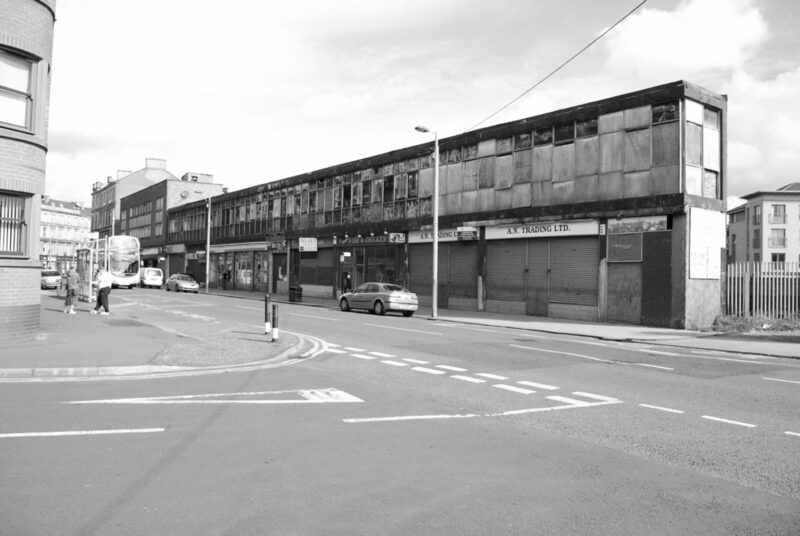 The building forms a significant street frontage to Dalmarnock Road to the south, and is visually prominent from both London Road and Bridgeton Railway Station to the north. The poor visual condition of the buildings viewed from these two key transport routes into Glasgow created a negative impression of the area hindering economic development. 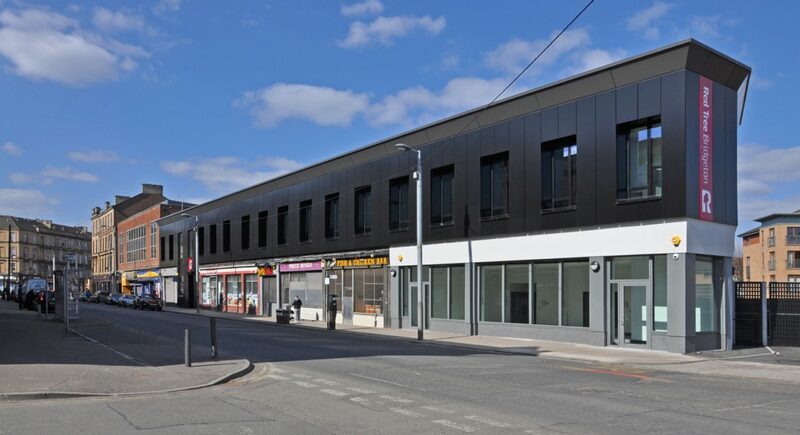 Sustainable economic and physical regeneration of the two adjacent buildings as part of wider plans in the area was the main key objective of the project for Clyde Gateway. Achieving this with a high quality and sustainable building and creating jobs in the area through the development of the building as a business centre were the next key objectives. An early appraisal explored several strategic options including demolition and new build. 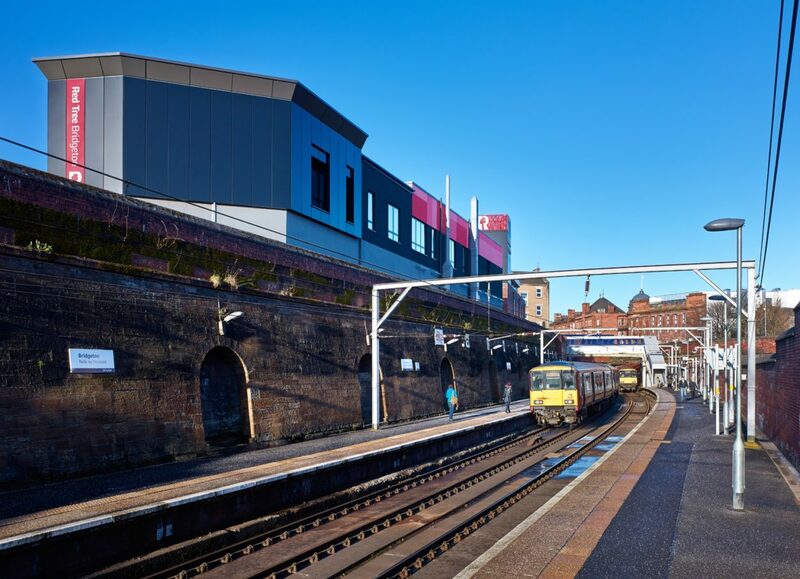 However due to several key factors including the costs and risks involved in demolition and re-building so close to the railway station; the successfully operating local businesses at street level and the flexibility offered by the existing concrete frame construction the case was made for retrofitting. 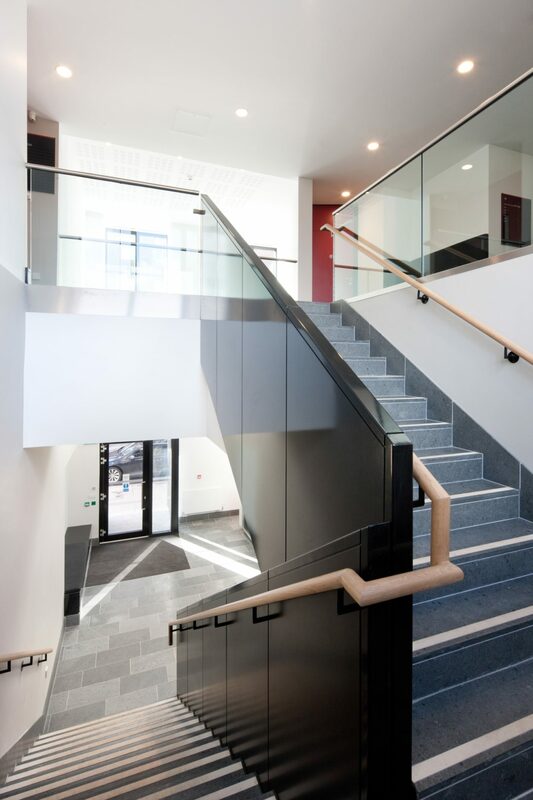 The upper stories of the existing buildings have been developed into high specification offices with significant structural alterations internally to provide attractive and legible internal circulation. 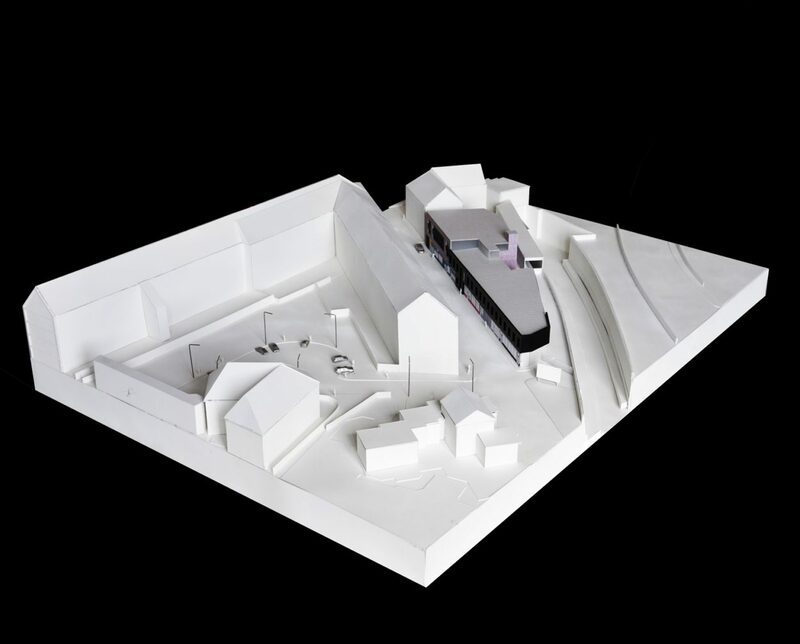 The introduction of a linear, black form framing the shop units below creates a strong regulated facade back to Dalmarnock Road. 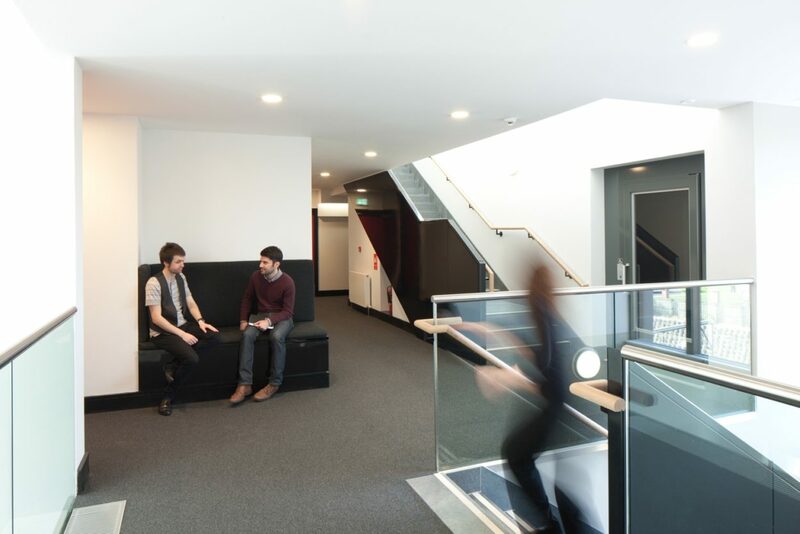 The differing floor levels of the two buildings and ceiling heights combined with varying depth of plan along the site was highly compatible with the brief to create a variety of office sizes that are proving to appeal to a wider range of tenants than a more regulated new build office might. 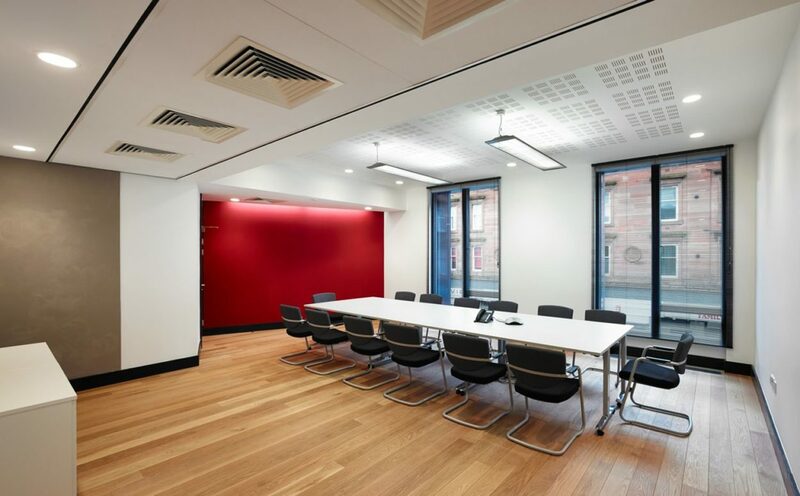 An upper quartile EPC was sought with the building achieving a B+ rating upon completion which is considered very good for a refurbishment project. 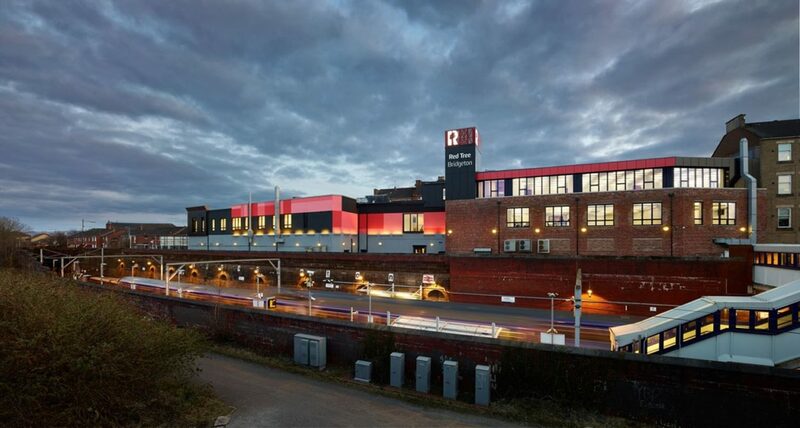 This was achieved through high levels of fabric insulation, the maximization of natural ventilation where-ever possible, a small solar thermal array, good building management control systems and intelligent lighting all help to reduce the energy use of the building. 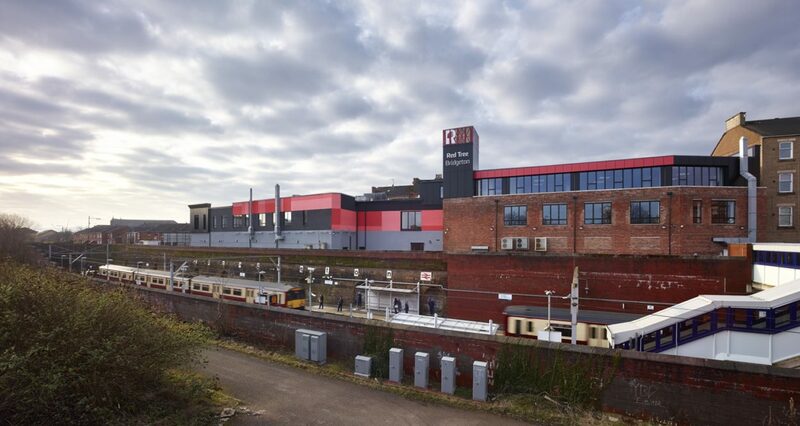 The highly visible rear elevation was identified as a key elevation at an early stage by both client/design team and local community due to its visual prominence from the railway station and key transport route of London Road. 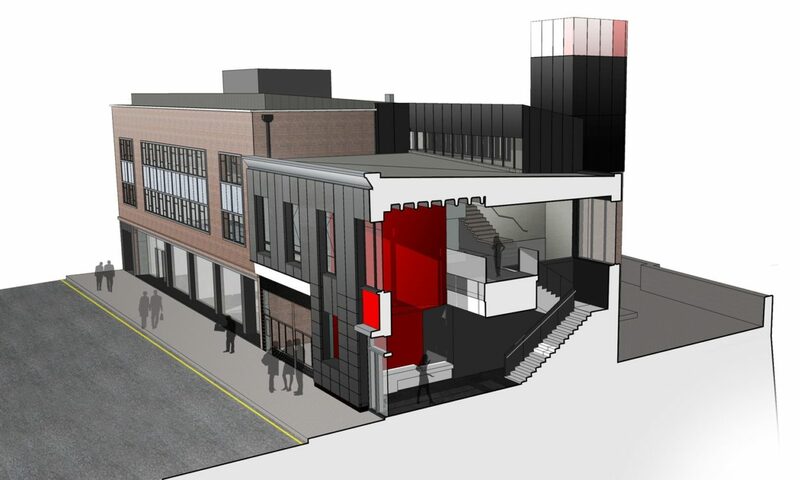 The largely blank elevation (forming the rear of the existing shops) has been carefully balanced with the introduction of a lighting installation and a carefully commissioned art work. Internationally renowned artist Toby Paterson, developed a graphical treatment that relates to the local area’s history of weaving and dying, whilst taking into account the context of red brick and salmon sandstone tenements. 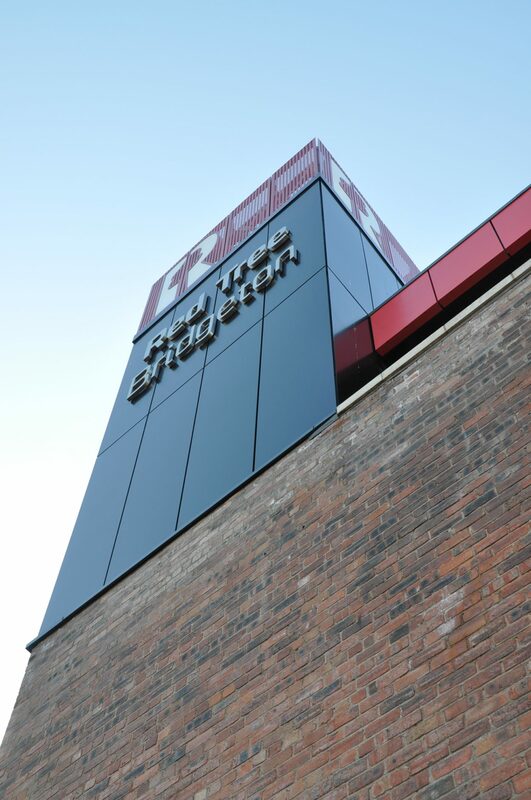 The aim was to create a facade that both harmonises with the neighbouring buildings and context but at the same time creates a strong individual presence for the building within the regeneration of the East End of Glasgow.